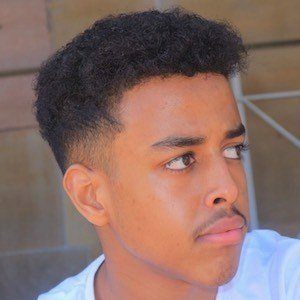 Better known as NadBash on YouTube, he is a content creator whose videos often include challenges, pranks and vlogs. He registered for his first YouTube channels in 2013, but started what would become his main channel in January of 2016. He began studying computer science at the University of London. He grew up with fellow YouTube vlogger Mo Vlogs. Although born in Copenhagen, Denmark, he would move to London, England at the age of five. He grew up with four brothers and four sisters. He is a friend and YouTube collaborator of Diya Eddine.